In 2017 we had our social value independently assessed and measured by a social value consultant. They looked at our work over the last five years and the impact it has created for people in Levenshulme and beyond. They also made recommendations for how we can increase the social value we create and provided us with a system of tools which will allow us to measure how we are improving and share that information with the community as we progress. 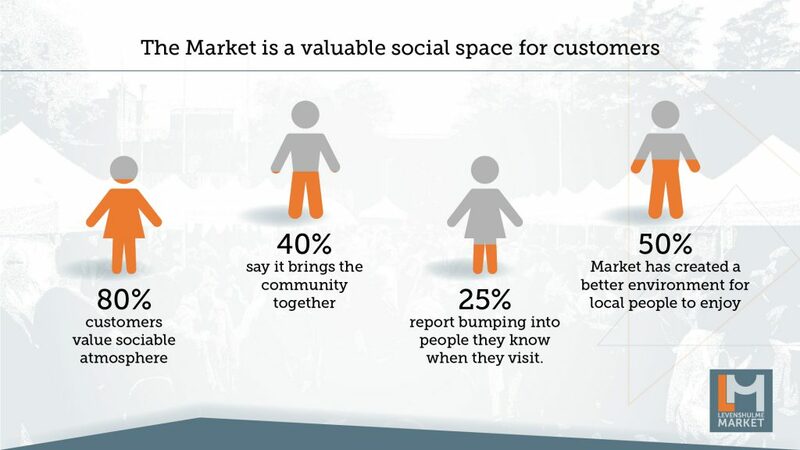 80% of our customers value the sociable atmosphere the Market creates, 40% say it brings the community together, 25% report bumping into people they know at the Market and 50% of customers feel the Market has created a better environment in Levenshulme. 20% of our traders are from Levenshulme and 60% live within five miles of Levenshulme. 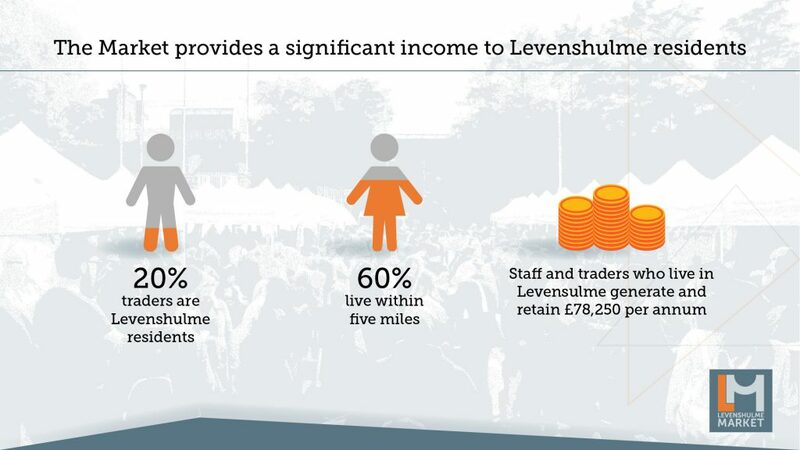 On average, the Market provides just under £80k of income to Levenshulme residents per year – and growing. 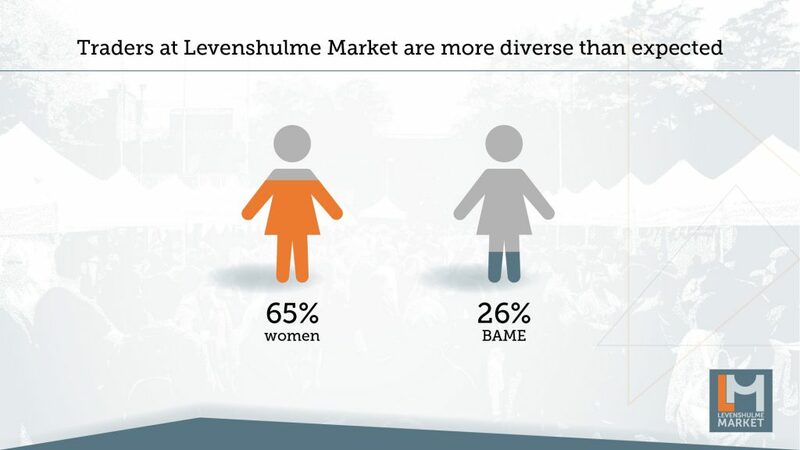 Although there is definitely work to be done to encourage a customer base which is more representative of the local area, currently 65% of our traders are women and 26% are from the BAME community. 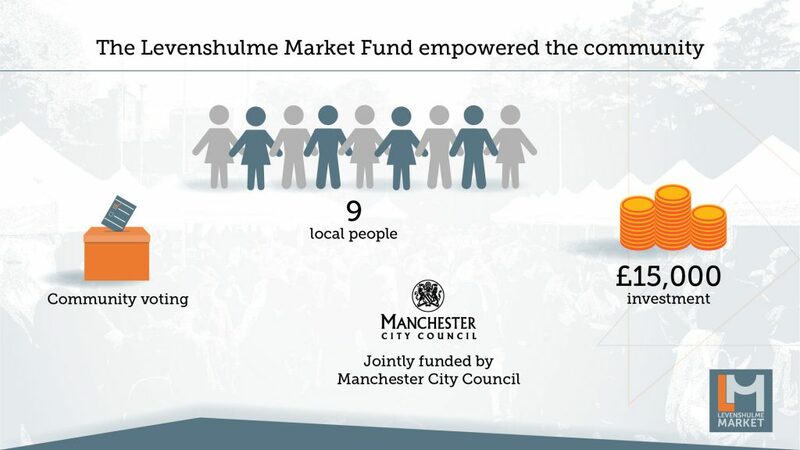 £15,000 was given to nine Levenshulme residents to start or improve businesses or high street-based projects and over 200 Levenshulme residents were able to vote on which projects received funding. Learn more about the Market Fund.